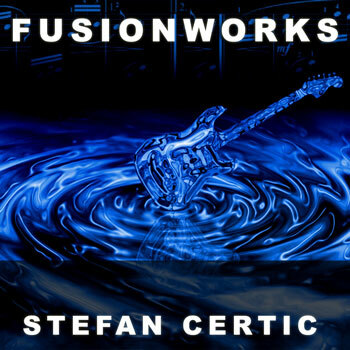 Home New Releases Stefan Certic: “FusionWorks” – a very tight, complex production! Stefan Certic: “FusionWorks” – a very tight, complex production! 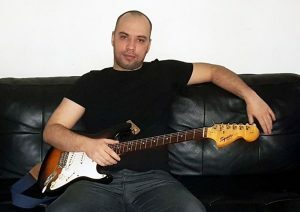 Stefan Certic describes himself as a “System Analyst and Entrepreneur by day, ethical hacker by night, and a Fusion Guitar player in between.” Certic has recently released his album “FusionWorks”, which contains two originals and three covers, including a version of Michael Jackson’s “Liberian Girl”. If you love the electric guitar and desire more than just mindless shredding, look no further than this recording. Certic sets himself apart from the other guys with some real rocking tunes as well as downright beautiful melodies such as “Winter” and the cover song “Color Of The Night”, where Certic’s technical and emotional quotient reminds me very much of Gary Moore’s playing. Even though you can hear the joy in Stefan Certic’s playing on every track, he doesn’t hesitate to unleash a barrage of pick-tapping fury on the occasion. His tone is in full force and even though the gain is plentiful on some tracks, the clarity is rather amazing. Outside of maybe Tom Morello and Joe Satriani, Certic’s is another one of the few guitarists who can play a solo devoid of clichéd licks and still pull it off with aplomb. The medium-tempo stomp shuffle of “Liberian Girl” also brings to mind his melodicism without becoming too derivative—a tough feat these days, especially on a cover track. The drums and bass are mostly to blame for the burning rhythmic backing that allows Stefan Certic to explore every inch (both harmonically and dynamically) of each tune. And honestly, is there anything Certic can’t do on the guitar? 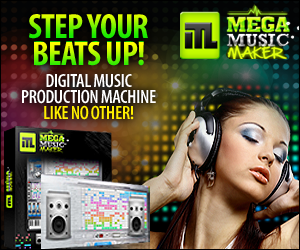 To my ears, the true sign of a well-crafted instrumental is that you could easily imagine lyrics going along with the melody. It’s what happens with “Winter”. And just to break the tone and atmosphere of this otherwise instrumental album, you’ll actually find a vocal track here, entitled “Dusk To Dawn”. A song Certic originally wrote for his band a few years ago and which has never previously been released. This is a pretty uplifting, female-sung rock anthem which features a fiery guitar solo from the man himself, in which his technique, tone, composition quality, and expressive style are easily noticeable. On the cover versions, somehow Certic is able to let his heart and soul genuinely sing and communicate the song through his guitar. This happens on the take of the Serbian Folk song “Midnight”. From the first bar there’s a driving groove that grabs and holds your attention. Simply put, it’s a very tight, complex production. The nice thing about this album though, is that the songs don’t feel labored or contrived. 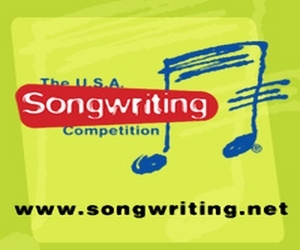 Instead the tracks feel natural and flowing, as if he had written them all. One thing that often gets tiresome with guitar instrumentals is the whole verse-chorus-verse thing where it’s like a bad pop song in structure and the main riffs are repeated too much, too contrived and drawn out. This sensation never gets the upper hand here, notwithstanding the fact that some of these songs really were pop songs originally. Listening to these tracks you feel a story is being told to you by Stefan Certic, and not that someone is just trying to demonstrate how to play the guitar brilliantly! LUURK: “One Minute”ft. Ándre showcases a creative mindset!